Playwright Jamie McCaskill drew on his experiences of working with at-risk youth to write, produce and perform in his latest play, Manawa, which premiered at Circa Theatre before heading to Auckland for a season. 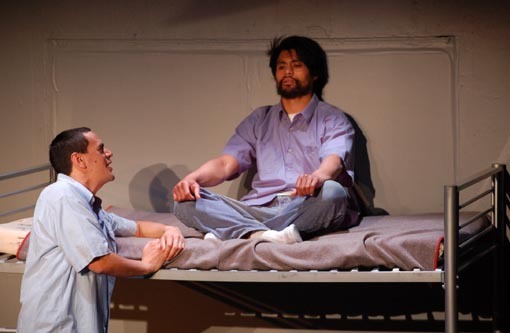 Manawa, described by one critic as “a truly exceptional piece of theatre”, tells the story of a character, Jimmy King, New Zealand’s youngest murderer, who has been in and out of prison his whole life. Mau Vaiaga, on the other hand, has been inside for only four months. An unlikely friendship is struck up as these two men work their way through the New Zealand justice system. The play also challenges the negative, stereotypical perceptions that the media often paint of offenders, and the fascination and furore that media hype can create. Jamie was a tutor and mentor at the Wellington social work agency Challenge 2000, where he helped run the alternative education school and assisted the students with individual programmes. Effectively, he says, he was the students’ moral compass, guiding them towards positive paths. J amie believes he probably stayed longer in the job because of his investment in the kids. Although some didn’t respond, he was able to help many of the students articulate their stories through various artforms such as writing, music and theatre. “A lot of the things the kids were taught from their parents were wrong, even bad, and unless someone intervenes, they’re not going to know any different,” he says. Once a “naughty boy” himself, Jamie attended Ngamoemoea A Te Rangitahi, which means “dreams of the young people”. Here, he discovered a passion for performing arts. Jamie believes that the process of rehabilitation will be most effective if you can find the right creative medium – the thing they most love doing. As a writer and actor, he looks at his characters’ passions and interests as a way to understand them and explore their humanity. He also likes to find something about the character that the audience can identify with – often through something the character likes doing or believes in. Jamie reckons most people can be rehabilitated, given the appropriate tools to do so. However, he also wonders if a small percentage can’t be. 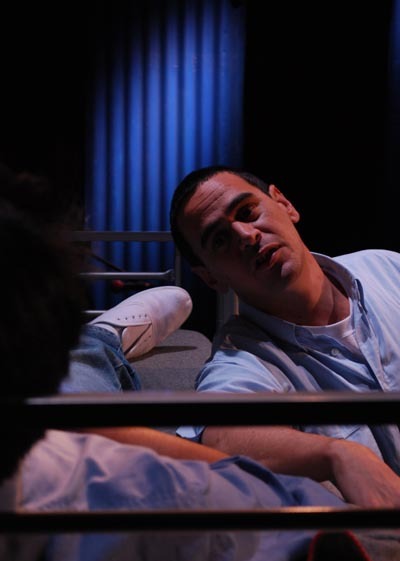 The play explores one such character, Jimmy King, a man who has become institutionalised. But the audience also comes to recognise that if he had been provided with stronger role models and support from his own whānau and community, he may have made different choices. Original generation time 1.3705 seconds. Cache Loaded in: 0.0004 seconds.